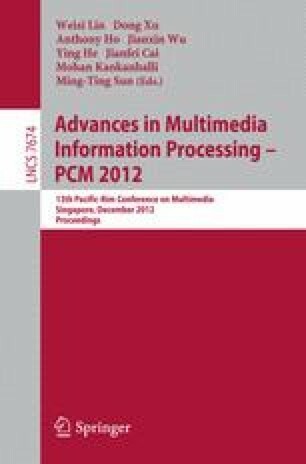 Detecting event in multimedia video has become a popular research topic. One of the most important clues to determine an event in video is its motion features. Currently, motion features are often extracted from the whole video using dense sampling strategy. However, this extraction method is computationally prohibitive when it comes to large scale video dataset. Moreover, video length may be very different, which makes it unreliable to compare the feature between videos. In this paper, we propose to use segment-based approach to extract motion feature. Basically, original videos are quantized into fixed-length segments for both training and testing, while still keep evaluation at video-level. Our approach has achieved promising results when applying for dense trajectory motion feature on TRECVID 2010 Multimedia Event Detection (MED) dataset. Combining with global and local features, our event detection system has comparable performance with other state-of-the-art MED systems, while the computational cost is significantly reduced.